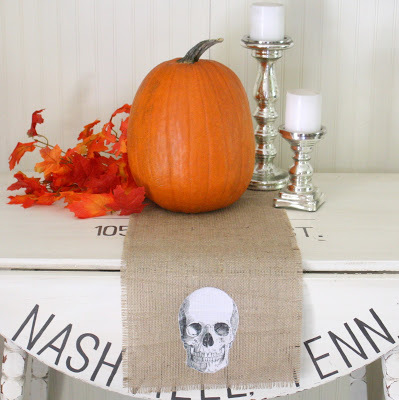 Need a Halloween table runner for your party? This one is super simple, and you can make it without sewing – bonus! 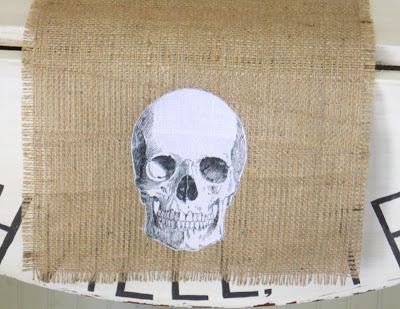 It only takes a few minutes of hands on time (plus some waiting) to make this Halloween table runner – and you can make it on the cheap! 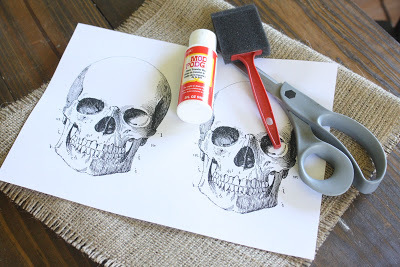 Once you have the images trimmed out, cover them INK SIDE UP with Mod Podge Photo Medium Transfer. Use a good coat that covers the whole piece. 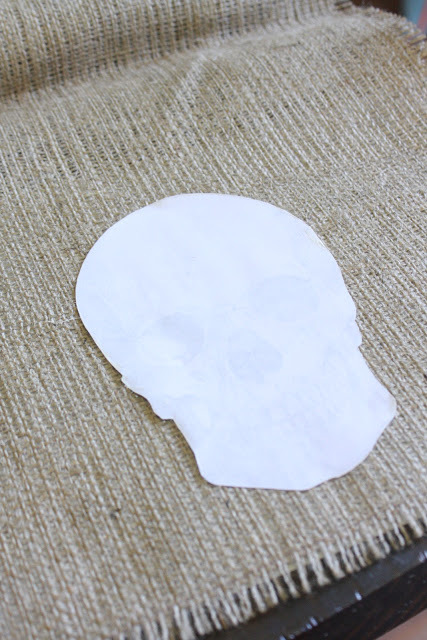 I did this step on top of a piece of freezer paper for easy clean up. 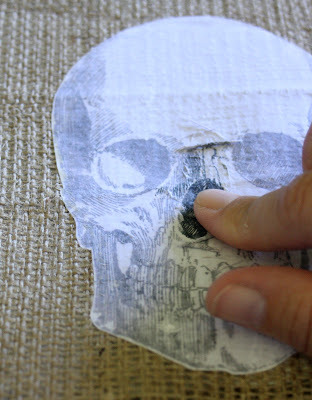 Once covered, put it face down onto the fabric where you want the image. 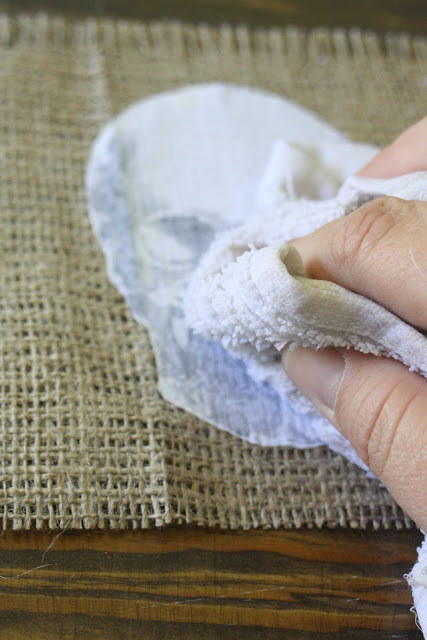 Go over it well using your fingertips and press it into the fabric, so it attaches to it. Set it aside and let it dry for 24-48 hours. 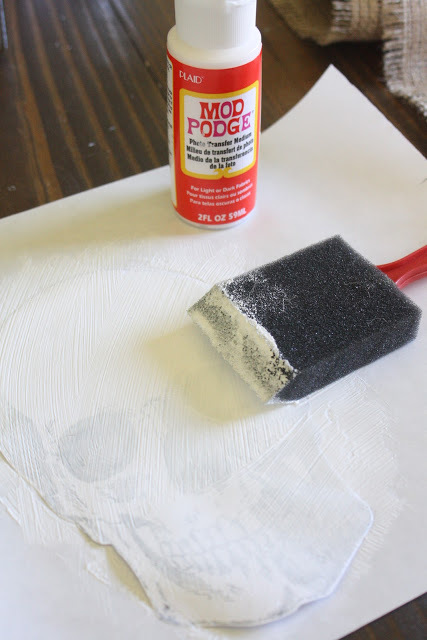 Once it’s all dry, wet the paper lightly with a damp cloth or sponge. You want it barely wet, but not saturated. 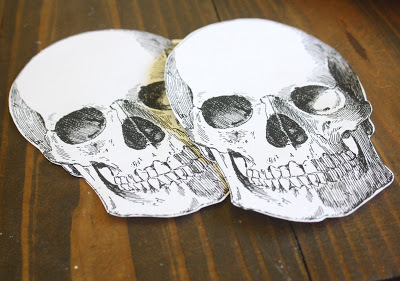 Now you’re ready to set a spooky table with your Halloween table runner! Pretty great results for about 10 minutes of hands on work, huh?